The Keto diet is all about cutting back on carbs, which means you'll have to say no to certain food options. To ensure that your body is not deprived of important nutrients, it makes sense to take Keto supplements. Knowing which options work or don't can be tough, however. 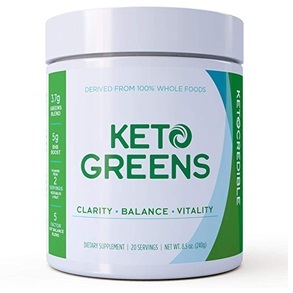 To help you narrow down which ones people are raving about and which products are their favorite exogenous ketones and supplements, we've created this list for you. Want to raise your blood ketone levels? This supplement is quite good at that! 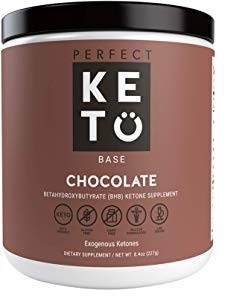 Perfect Keto's main ingredients include, but are not limited to, Organic Beta-Hydroxybutyrate (BHB), organic Calcium, organic Sodium, and organic Magnesium. 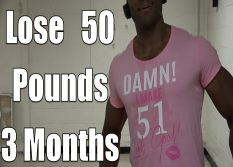 This is a doctor-recommended product and is definitely a great choice for losing weight as quickly as possible. Aside from weight loss, this supplement also helps boost energy levels and, eventually, athletic performance. 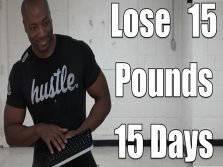 So, if you are trying to lose those extra pounds so you can do better at a certain sport or in activities like marathons, rock climbing, etc. - Perfect Keto should be at the top of your list of supplements to take. This product aids in hunger suppression as well, which means you need not be miserable when on the keto diet. If you're looking for a supplement that does not only help you lose weight but also aids in mental acuity, then the Ketoforce is perfect for you. No need to feel tired throughout the day. You don't have to contend with serious hunger pangs either. It contains Vitamin A, Magnesium Beta-Hydroxybutyrate, Sodium Beta-Hydroxybutyrate, and Calcium Beta-Hydroxybutyrate. All of these are good for your body and will enable you to stay healthy. Feel your energy soar after taking the Ketoforce. None of that drowsy or lethargic feeling. Kiss My Keto is another excellent supplement that will assist you in making the most out of your keto diet and weight loss plans. BHB salts, Sodium, Calcium, and a proprietary Keto Blend are just some of the main ingredients that make this product awesome. Aside from weight loss, its benefits include increased energy levels throughout the day. Take this regularly and you will notice an improvement in your cognitive energy as well. 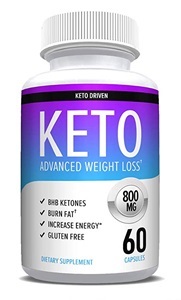 The main ingredients of this Keto supplement are Malic Acid, Beta-Hydroxybutyrate (BHB), and MCT Powder. 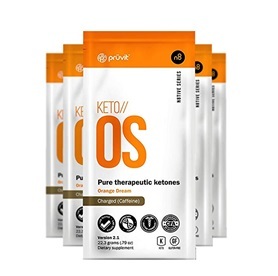 One great thing about Pruvit Keto OS is that it facilitates effective protein synthesis, which means it helps your body obtain its protein needs while you're losing weight. Of course, it also promotes rapid weight loss. Not only that, this product improves the clarity of your mind too and even assists in reducing any inflamed part of your body. You will also notice boosted energy levels while taking the Pruvit Keto OS. You won't have to worry anymore about not getting enough nutrients when you are on a ketogenic diet. This supplement contains Vitamin A, Sodium Beta-Hydroxybutyrate, Magnesium Beta-Hydroxybutyrate, and Calcium Beta-Hydroxybutyrate to keep you healthy and feeling great. This product also helps in the mental acuity department. Avoid feeling like you are out of it. Be able to concentrate well. The Keto Drive boosts energy, too. Go through your day without getting drained quickly. The Onnit MCT Oil is a worthy companion to anyone who has dedicated themselves to a low-carb ketogenic diet because it is one high-quality MCT product. MCT or Medium-Chain-Triglycerides are trans-fats that the body can quickly absorb and generate energy from. This supplement helps in appetite suppression, which enables your body to take full advantage of the ketosis process. In short, you'll lose weight quickly and be able to sustain that weight loss. Rest assured that your energy levels will not be drastically affected. In fact, with the help of this supplement, you will have more than enough energy to go on your regular day. Keto Kreme's ingredients are vetted and safe. It contains coconut butter/Kreme, Stevia, Ceylon Cinnamon, and MCTs. These ingredients are sourced naturally and processed in the highest-quality manner. 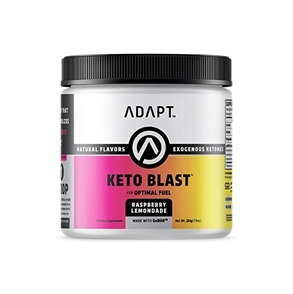 This product aids in faster metabolizing into ketones and, just like the others on this section, it provides a quick energy boost. It balances important things in the body, too, including glucose levels and gut flora. Of course, this supplement will not do anything to move your cholesterol level up. There are three flavors available for variety - Citrus Mango, Caramel Macchiato, and Tiger's Blood. Who says ketogenic supplements are boring, right? It provides a more significant energy boost compared to other products in the market. Expect to have a reduced appetite, more energy, and enhanced cognition. Get into your zone easily and accomplish your goals, particularly your weight loss targets. Use this product alongside an exercise routine for best results. This dietary supplement is an energy drink mix. Its main purpose is, of course, to enhance your body's ketone levels and to facilitate a successful keto diet. You'll be glad to know that the KetoCaNa does not contain any preservatives, artificial flavoring, and artificial coloring. It also does not have any gluten, lactose, or animal byproducts in it. Its taste may not be to everyone's liking but it does provide that energy boost while making sure you maintain your low-carb diet. If you are still new to the keto diet, then you are bound to experience some transitory symptoms, such as feeling disoriented or coming down with the flu (also known in the community as the �keto flu�). If you are dreading these symptoms, you will be glad to know that the Kegenix can help you ride out the transition better. Aside from that, Kegenix can help with post-workout recovery, in boosting your energy, and improving thinking clarity. Its ingredients include MCTs, L-lysine, and L-leusine - all of which can help with the weight loss. Stick to high-quality products with vetted ingredients. Supplements using proprietary technology or ingredients are also worth looking into. Be sure to read reviews so you can steer clear from rip-offs or poor-quality products. Overall, be vigilant when buying any keto supplement. Check the labels and the integrity of the product, always. Not all keto supplements are made equal. Unfortunately, there are poor-quality products out there from shady manufacturers. Some simply do not work no matter how much they are touted as effective. This list will help you spot the bad options and help you avoid them. 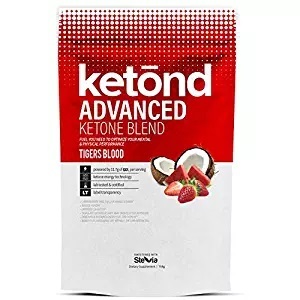 This is one of the keto supplements on Amazon with a very low rating. It claims to be the �best ketosis supplement for men and women�. Unfortunately, customers aren't buying that as much as the manufacturer wants. Its list of ingredients includes Magnesium Beta-Hydroxybutyrate, Caffeine Anhydrous (50% extract), Sodium Beta-Hydroxybutyrate, and Calcium Beta-Hydroxybutyrate. Buyers of this product stated that they were eating healthy and doing exercise but this product still failed to produce results. This is yet another poorly reviewed supplement on Amazon. Buyers said that this does not work at all. After limiting carbs intake and doing plenty of exercises, users say this product simply did not deliver on its promise to promote rapid weight loss. Just like other supplements, it promises improved mental acuity and energy levels, but it fails to do that as well. Manufacturers of this supplement claim that this product helps with weight loss while keeping you healthy. That it burns fat fast and enhances energy and focus, too. They also claim that this product is generating loads of buzz among doctors, scientists, and even celebrities. But this claim seems to hold no water. Unfortunately, it did not work for most people and is even considered as a waste of money. Some of those people who bought it on Amazon are even saying that the product they received doesn't look authentic. 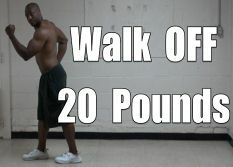 This one actually produced results and helped many people to lose weight and achieve ketogenic diet success. It is said to help you achieve rapid ketosis and is more affordable than other similar products. But the reason why this supplement is under the products that do not work section is its taste. Unfortunately, many who have tried the Keto Burst have reported that they couldn't stand the taste. If something tastes horrible, then people are likely to discontinue taking it. For that reason, this dietary supplement tanks. This supplement is all about metabolizing fat quickly. It is meant to help your body achieve the ketosis state at a much faster rate than normal. This way, you can stay away from carbo-loaded dishes and accomplish your weight loss goals faster as well. Some users are disappointed with this supplement because they experienced headaches after taking it. This product is not advisable for pregnant women. This product contains simplified exogenous ketone. It is in capsule form and, like others on this list, are designed to help the body achieve ketosis at a quicker rate. A few people have noticed, however, that the product packaging is a bit dishonest. Apparently, stickers are placed on top of bottle labels, which makes it hard for people to read the ingredients of what they're about to ingest. These are technically not dietary supplements. But since they are marketed to customers as low-carb snacks perfect for anyone on the keto diet, then it is worth investigating. Upon closer inspection, these cookies are not doing so well with some of its target audience. Some customers have actually complained about their gross taste and are outright saying that these are not worth paying for. Then there were others who received moldy cookies. Yikes! For those who received edible cookies, they could barely finish their order since these snacks tasted super bland. When you are on a keto diet, saying no to various dishes becomes the main part of your life. Avoiding carbs and bad trans-fats become the priority. However, this can also mean that you are restricting yourself from consuming essential nutrients, one of which is collagen. This supplement is marketed as the solution to that dilemma. It is supposed to be the answer to keeping your bones, connective tissues, and tendons healthy. Unfortunately, this product falls short in many areas. Some customers have complained that they received their order in a suspicious state. It was as if the package wasn't sealed properly. Who would want to consume anything inside that package at that point? Those who have ordered a second batch said that the first batch of products they got widely differed from the second. So that would mean that quality control isn't great and the manufacturers may be doing things you will be uncomfortable with. This is marketed as a supplement �packed with superfoods and exogenous ketones�. It is supposed to be full of vitamins, minerals, and all the good things your body needs. By taking this supplement, you won't be denying your body any essential nutrients while maintaining a low-carb intake. Unfortunately, some buyers have complained that this product does not work at all. They also highlighted that this is pricey and tastes horrible. This is an energy drink mix for keto dieters. It is marketed as the best-tasting and flavorful ketone drink out there. Some of the people who bought it, however, complained of their blood pressure rising too much after drinking this supplement. Others have no complaints though and said that this product provided them with a good boost of energy. Make sure to verify that the product you are buying is from a trustworthy manufacturer. Be constantly aware of imitations and rip-offs as well. They can look the same as original products at first glance. They'll most likely have similar color schemes. So, be sure to scrutinize a supplement's packaging before you pay for anything.